Blog AFBE-UK 2014 Report and Newsletter now OUT! AFBE-UK 2014 Report and Newsletter now OUT! 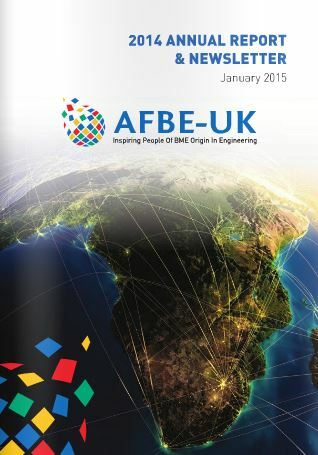 The AFBE-UK 2014 Report and Newsletter can be viewed and downloaded using this link. It contains most of the articles published at the 2014 Gala and a wee bit more from AFBE-UK London. Page 3: Mentors feedback from Martin Radley Director, ARUP and Chartered Engineer Yinka Bankole on the Mentoring Programme. Page 5: Article by Dr Ollie Folayan on AFBE-UK Scotland’s Growth in addition to details of the successful Gala event which attracted 170 guests including industry leaders and major stakeholders within the engineering community. Page 7: A very interesting article on Skills, Clocks and a Huge Grasshopper by Jide Okwujiako from AFBE Scotland Committee with Page 8 featuring an initiative called Croydon Construkt by Inspiring role model and Civil Engineer Sakthy Selvakumaran. Page 17: Tips for Job Applicants by Uche Onyia and a Member Profile on Ronye Egborge). Page 19: Features Chi Onwurah MP and Jeanette Yuile of Shell International at the Transition Programme. To find out about Transition Check out this video.